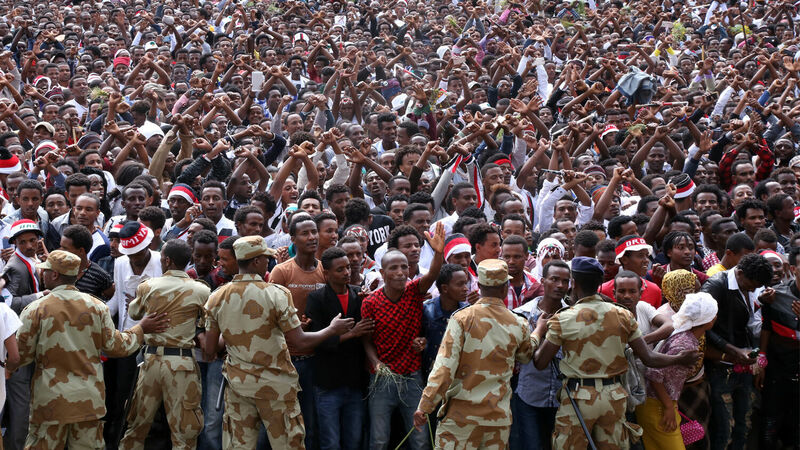 Security measures are taken as the Oromo people protest the government during the Oromo new year holiday. In our special report Libya and Ethiopia in Prophecy, Trumpet editor in chief Gerald Flurry writes, “What is the immediate future of Libya and Ethiopia? We must go to the Bible for the answer—you will find it no place else.” These two nations are mentioned together in a prophecy in Daniel 11: “And at the time of the end shall the king of the south push at him: and the king of the north shall come against him like a whirlwind, with chariots, and with horsemen, and with many ships; and he shall enter into the countries, and shall overflow and pass over. … But he [the king of the north] shall have power over the treasures of gold and of silver, … and the Libyans and the Ethiopians shall be at his steps” (verses 40 and 43). Our free booklet The King of the South proves that the “king of the south” in Daniel’s prophecy is radical Islam led by Iran. So you need to watch Libya and Ethiopia. They are about to fall under the heavy influence or control of Iran, the king of the south. That is why they are subdued in the king of the north victory. That prophecy is easy to understand. The big question is this: Do you believe your Bible? Why would Iran be so interested in getting some measure of control over Libya and Ethiopia? To me, the answer is intriguing. All you need to do is get a good map of the Middle East, with the emphasis on the Mediterranean Sea and the Red Sea. Then you can see why the king of the south, or radical Islam, is so interested in an alliance with or control over these two countries (as well as Egypt and Tunisia). They are on the two seas that comprise the most important trade route in the world! Ethiopia is in danger of falling apart—and falling prey to predator nations like Iran. As Mr. Flurry admonishes, watch Ethiopia. To help you with that, we would like offer you our report Libya and Ethiopia in Prophecy. It is available in five different formats, and all of them are free!